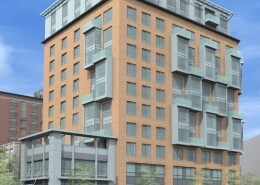 The Project site is an approximately 7,680 square foot parcel located at 102 to 112 Broad Street. 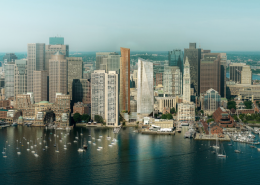 Currently located on part of the Project site is a historic Bulfinch Warehouse at 102 Broad Street and a five-story commercial building at 112 Broad Street. 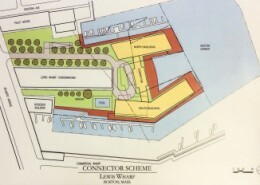 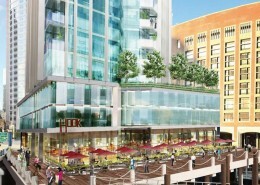 The Project site is at the southeastern termination of Broad Street, and is bounded by Wharf Street to the northwest, and John F. Fitzgerald Surface Artery (Surface Artery) to the east. 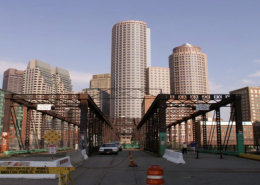 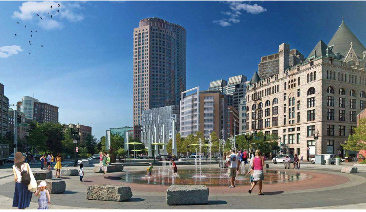 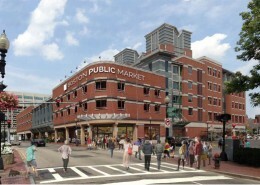 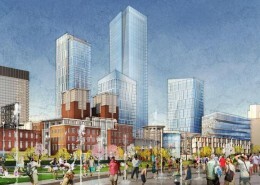 The Project site is within the Custom House National Register Historic District (the Custom House Historic District), and the Rose Fitzgerald Kennedy Greenway is across the Surface Artery from the Project site. 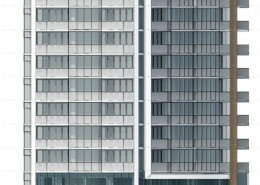 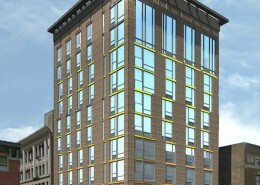 The Project will be an approximately 83,500 sf, twelve-story residential building that will include approximately 52 residential units and 3,500 sf of commercial/café space or other allowed retail use on the ground floor. 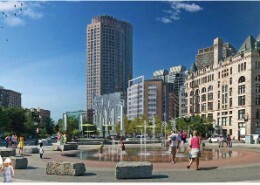 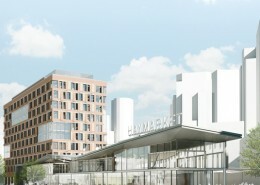 The Project will include approximately 35 parking spaces in a below grade, automated garage.